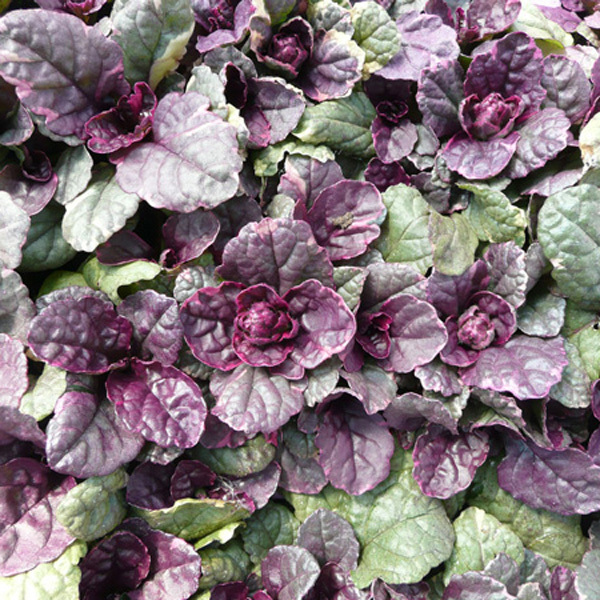 Also known as Bugleweed, there are many selections, used widely as groundcovers for shady gardens. 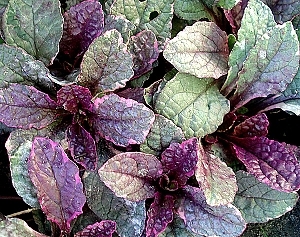 This is one of the most popular, forming a spreading mound of leaves dappled in green, cream and smoky pink. Spikes of blue flowers appear in spring. Excellent for edging. Be sure to remove any all green or bronze shoots that may appear during the growing season. Excellent fall and winter effect, developing rich bronze and burgundy tones. Evergreen. 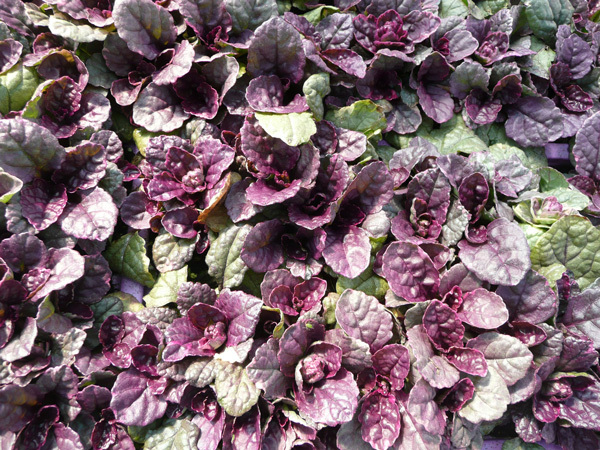 Burgundy Glow plants may be easily divided in spring or early fall. Especially nice in containers or tubs. 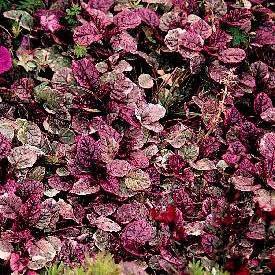 May be used to cover small areas but not recommended as a large area groundcover: bronze or green-leaved selections of Ajuga are better suited for this purpose.